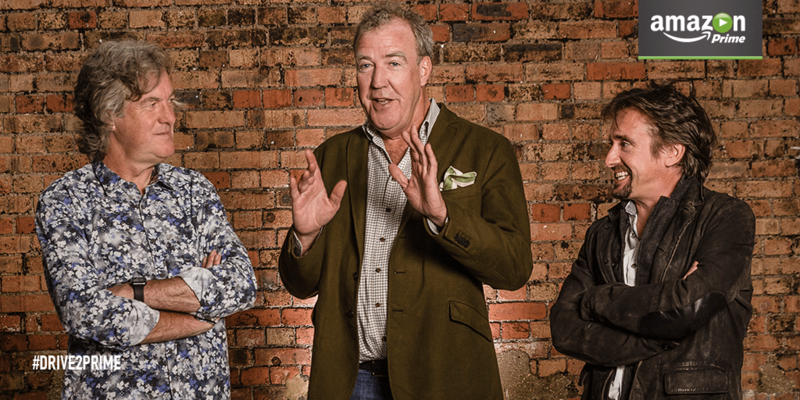 Jeremy Clarkson, Richard Hammond and James May have signed a deal with Amazon Prime for their new show for 3 seasons. The deal is said to be worth an estimated $250 million. After Jeremy’s contract was not renewed by the BBC due to an altercation with a producer on Top Gear, Hammond and May along with former Top Gear executive producer, Andy Wilman quit the BBC with speculation of their next show coming to rival platforms. Most anticipated a deal to be done with Netflix for the new show. The trio were extremely excited on the announcement with Clarkson commenting “I feel like I’ve climbed out of a bi-plane and into a spaceship.” referring to the shift from the BBC to Amazon Prime while Hammond tweeted “I’ve got a job I’ve got a job I’ve got a job. Haircut, clean jeans and practice driving again. Forrrrwaaaaaaaard! !” and May tweeting “Good news! I’ve got a job with @AmazonVideoUK. Bad news! So have the other two. #AmazonPrime #ItSaysHere“. The new show will go into production soon and will debut exclusively on Amazon Prime in 2016 with Andy Wilman being the producer for the new show.